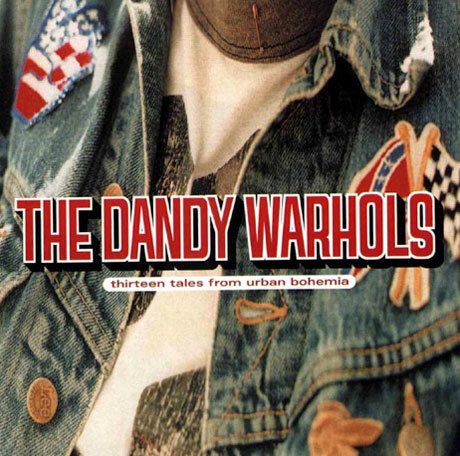 Portland pop-rock crew the Dandy Warhols recently announced plans to celebrate their mainstream breakthrough Thirteen Tales from Urban Bohemia with an appropriately timed 13th anniversary reissue, and now the act have let loose details behind the deluxe edition. Set to drop June 11 through Capitol/UMe, the two-disc revamp features a remastered version of the original Thirteen Tales from Urban Bohemia, including the band's woo-hoo heavy hit single "Bohemian Like You." The second disc, meanwhile, collects B-sides, alternate takes and demo sessions recorded at the home of vocalist Courtney Taylor-Taylor. You can check out the tracklisting for the collection, which will also be available digitally, down below. Also, as previously reported, the Dandy Warhols will be celebrating Thirteen Tales from Urban Bohemia with an anniversary tour. You can see all the upcoming dates below the tracklist. If, however, you're looking for some fresher material from the Dandy's crew, Taylor-Taylor is also set to appear on Thriftstore Masterpiece's upcoming full-album tribute to Lee Hazelwood's Trouble Is a Lonesome Town. Taylor-Taylor sings the set's "Look at That Woman," while other contributors include Frank Black and Modest Mouse's Isaac Brock. That particular LP arrives July 9 through SideOneDummy.